TPG has spent two years, over $1.2 billion for 4G mobile spectrum, and $100m of a planned $600m on the build of its 4G mobile network. Mid-2018 there were 600 TPG towers in proposal stage. The plan was to have a 4G network in place to allow a quick upgrade to 5G in the near future. Then on 29 December, in an announcement to the Stock Exchange, TPG canned the rollout. TPG said it did not make commercial sense to continue investing in a network that could not be upgraded easily to a 5G standard. "The principal equipment vendor selected for use in the network was Huawei. A key reason for the selection of the vendor and the design of TPG's network was that there was a simple upgrade path to 5G, using Huawei equipment. In light of the government's announcement in late August 2018 that it would prohibit the use of Huawei equipment in 5G networks, that upgrade path has now been blocked". But is that only half the story? Some telco industry analysts believe the Huawei ban has proven very timely for TPG, providing a legitimate excuse to step away from its mobile network build. The government's decision to prohibit the use of Huawei equipment was announced back in August 2018, and analysts point out the reaction from TPG is a little belated. 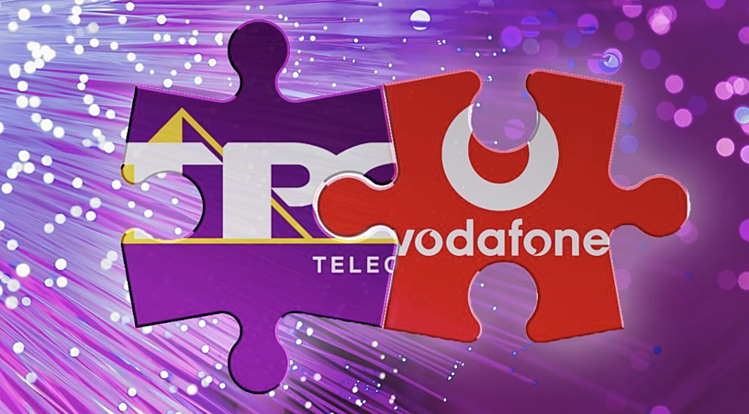 It also suspiciously comes after the competition regulator, the Australian Consumer Competition Corporation (ACCC), expressed concern that TPG's proposed merger with Vodafone would reduce competition. In a public statement of issues on 13 December, the ACCC expressed concern that a merger between Vodafone and TPG could result in less competition, by reducing the number of mobile networks from four to three. "If TPG remains separate from Vodafone, it appears likely to need to continue to adopt an aggressive pricing strategy, offering cheap mobile plans with large data allowances. "Our preliminary view is the merged TPG-Vodafone would not have the incentive to operate in the same way, and competition in the market would be reduced as a result. "A mobile market with three major players rather than four is likely to lead to higher prices and less innovative plans for mobile customers"
TPG's decision to cancel its 4G network build, effectively removes a significant barrier to the merger. A decision by the ACCC is due in April. ACCC chairman, Rod Sims, has declined to say whether TPG's network cancellation would be considered favourable for the proposed merger. Meanwhile TPG chairman, David Teoh, denied the move to abandon the network was designed to influence the ACCC's decision. "The ACCC consideration is not part of this decision process," he said. Industry analysts however see the move as highly favourable to the proposed merger being approved by the regulator. In a research note, Citi analyst David Kaynes, gave the merger a 90 per cent chance of getting past the regulator, on the ground that the ACCC's objections were no longer relevant. "We think it much more likely [the merger] will go ahead. If TPG aren't going to become a mobile operator, there's not really a reduction in competition [by allowing the merger]." Meanwhile, independent telco analyst and commentator Paul Budde told the ABC that TPG's decision was likely more to do with the merger. "It's an easy way out for TPG to abandon now its mobile plans, and obviously save themselves billions of dollars, because of the proposed merger." "I can see that [the Huawei ban] plays a role but, at the same time, the overarching situation with TPG and Vodafone having two networks, I think that's an easy way out for them to now go to simply one network." 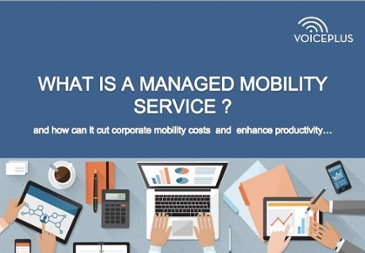 A Managed Mobility Service (MMS) will reduce corporate mobility costs by 15-20% through optimisation and auditing says Gartner. VoicePlus Atrium Managed Mobility is Australia's leading MMS product.